Invisible against any tooth shade and remains crystal clear without staining. Diamond polishing/finishing process produces rounded, smooth corners for uncompromised patient comfort. Exceptionally strong and highly fracture resistant, but also functional with easy-to-ligate tie wings. Bond strength is provided by a Zirconia sphere coated base, creating millions of undercuts that mechanically lock with the bracket adhesive. Secure retention during the length of treatment and predictable debonding at the end of treatment. Anatomically contoured tooth-specific design fits the tooth curvatures perfectly to increase bond strength. For patients who demand the highest standards in aesthetically cosmetic bracket systems. Recommended to be utilized with Tooth Tone coated archwires, auxiliaries, and clear elastomeric ligature ties for maximum aesthetics. 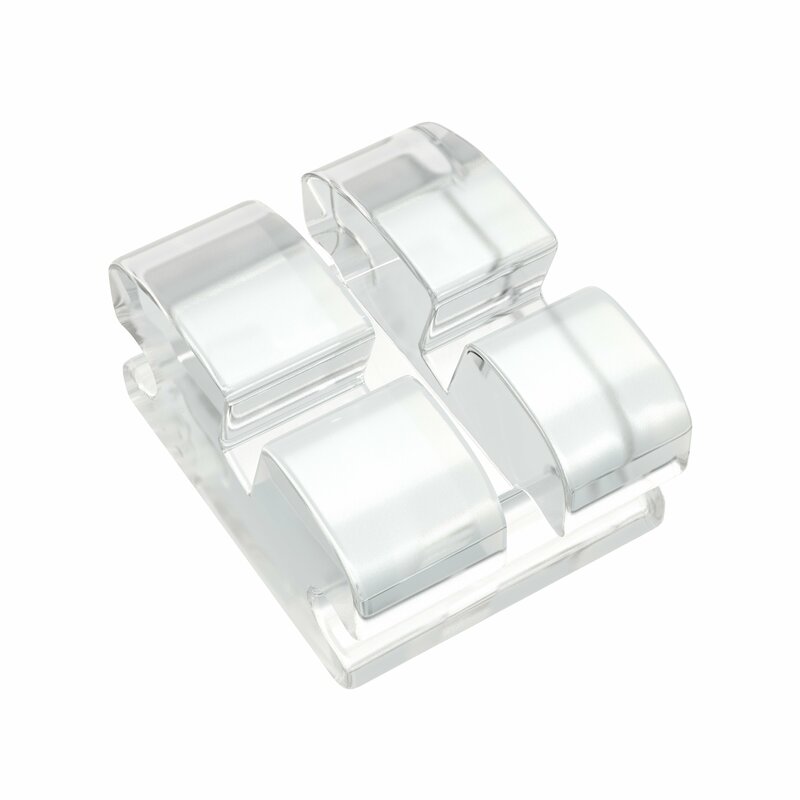 Small bracket size and low profile design is ideal for both clinicians and patients. 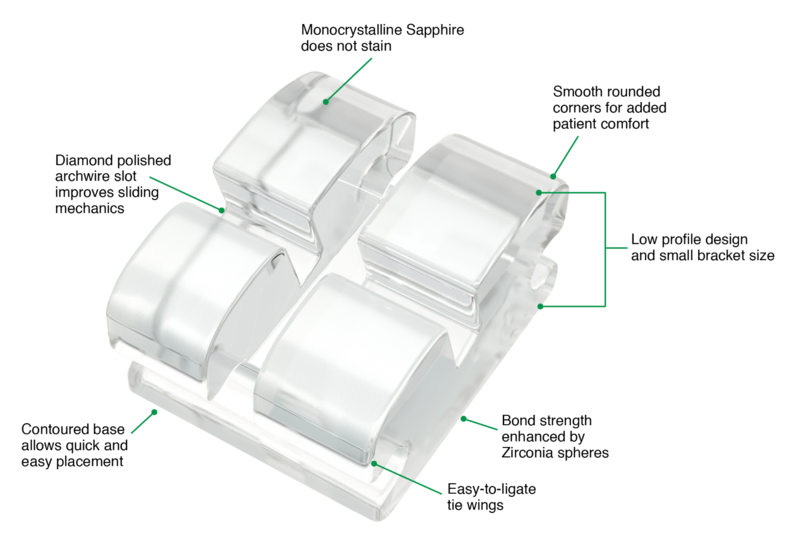 Shop for individual BioTru® Sapphire brackets and build your own prescription.